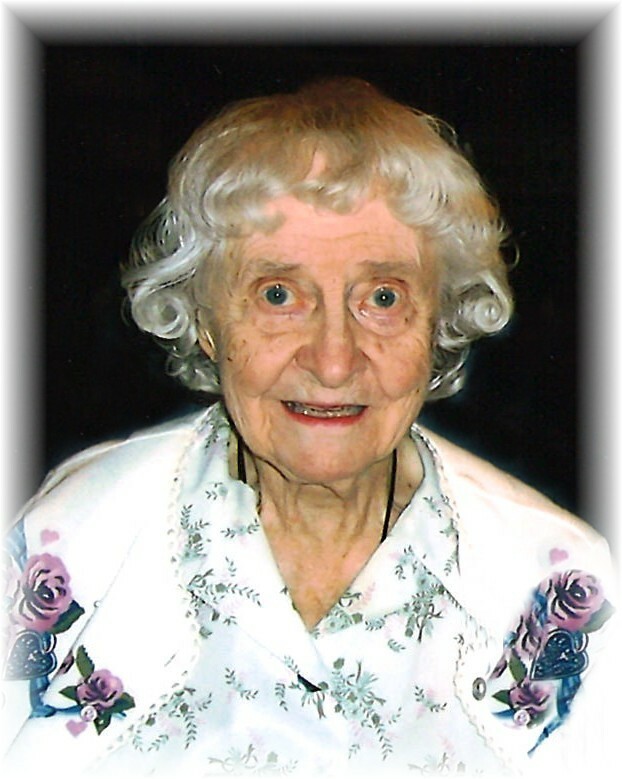 Esther Luise Krause, age 105 passed away on Tuesday, September 25, 2018 at the Ambassador in Nebraska City, NE. She had made her home there since March 26, 2013. She was born on January 28, 1913 in Cheboygan, MI; the daughter of Rev. Herman and Emilie (Freytag) Imbrock. With her father being a Lutheran Pastor, Esther grew up in Lutheran parsonages in various parts of the country, including Bowling Green, OH, Brenham and Mason, TX, Twin Lakes, MN and Ida, MI. She graduated from Ida High School in 1932. After high school she served as a nanny for a family in Toledo, OH. In 1935 she followed her family to Phillipsburg, KS. On May 5, 1951, Esther was united in marriage to Wilbert F. Krause in Hastings, NE and this union was blessed with two sons, Ralph and Bruce. They established their first home in Clay County, NE. Wilbert preceded her in death on May 6, 1999. In 1955 the family moved to Windsor, CO. She resided in Windsor until August 2009 when she moved to Julian, NE to be near her family. She was an active member of Bethel Lutheran Church, the Windsor Senior Center and the Weld County Genealogical Society when she lived in Colorado. Esther worked as a Nanny, a Clerk at Duckwall in Phillipsburg, KS and in Food Service in the Windsor School System as well as being a housewife and homemaker. She enjoyed reading, sewing, making quilts and lap robes and scrap booking. Another hobby she really enjoyed was researching family history. Esther is survived by her sons, Ralph Krause and wife Beth of Julian, NE and Bruce Krause of Loveland, CO; grandchildren, Nick (Heather) Krause, Syracuse, NE, Kevin Krause, Omaha, NE, Todd (Michelle) Krause, Seneca, KS, Adam (Elaine) Krause Omaha, NE, Ben Krause, Lincoln, NE and Alex Krause Julian, NE; great grandchildren, Keaton Krause, Calli Krause and Vonn Krause; sister-in-law, Helen Imbrock of Lewisburg, WV; and other family and friends. In addition to her husband, she was preceded in death by her parents; three brothers, Paul (Pam) Imbrock, Walter Imbrock and Benno (Elizabeth & Bernice) Imbrock. She will be dearly missed and lovingly remembered.